I’ve got two Ironman races to review from the last weekend, I’ll start in Europe with Ironman France. 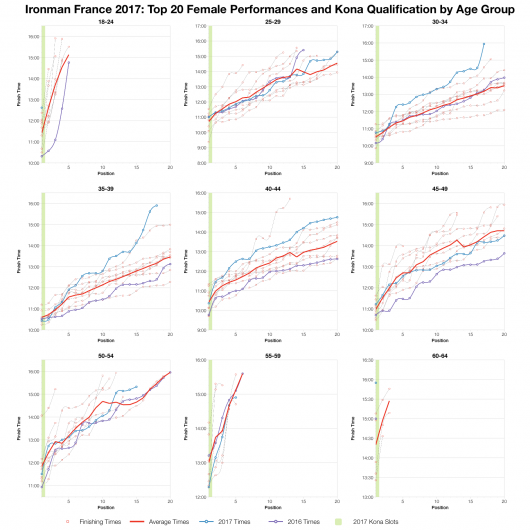 It’s a big race with a lot of competition for the standard 40 Kona slots on offer. The bike course is hilly, but it’s probably the heat of the run along the promenade that has the biggest impact on performances. The Nice course is not the fastest in Europe, but it’s a way ahead of the slower races like UK, Wales and Lanzarote. 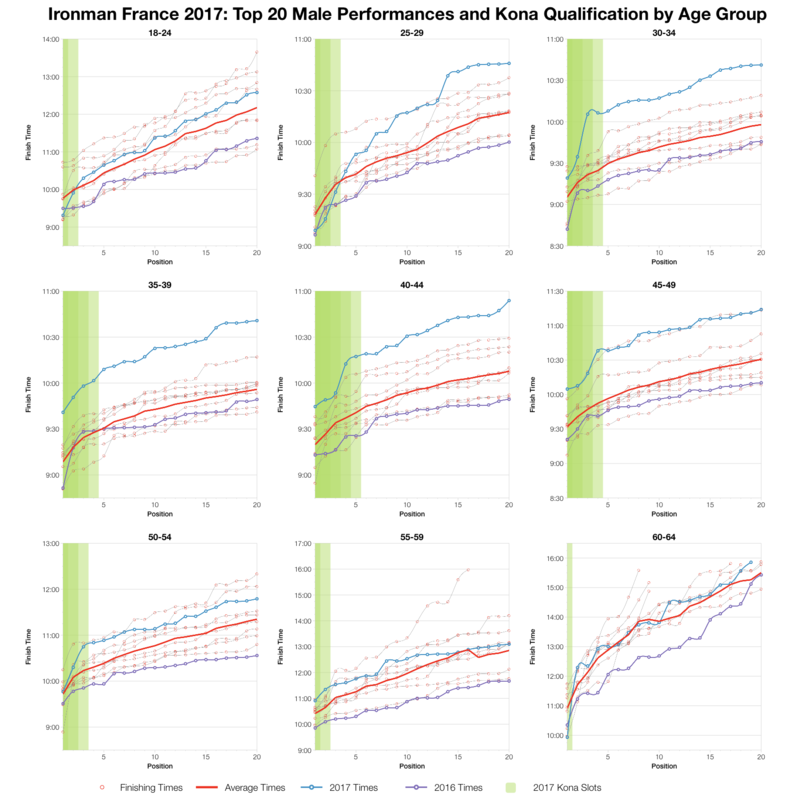 This year’s age group race appears to have been particularly slow though. It’s immediately obvious from the chart above that this years race distributes much slower than the previous 10 years of racing. This is true in bike, run and overall. Once athletes were out of the water the whole event was slower than we typically see. Margins are large too with over a 30 minute change in the median. Entry numbers were lower at this year’s race and the DNF rate was higher than usual. The bulk of this seems to come on the run with the DNF rate up at the high end for this race. So we have a slower event with a higher DNF than usual suggesting conditions were challenging. 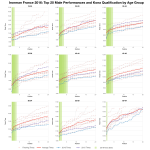 Naturally we also see such a big shift in performances when we look at individual age group medians. 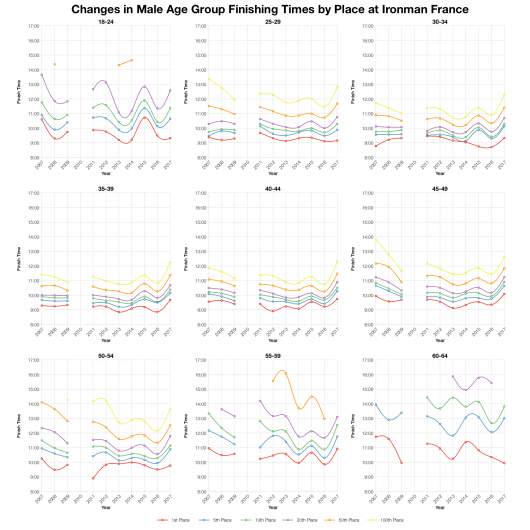 A brand spread of slower times across age groups and disciplines. It’s not often I analyse a set of results that diverge this much from the past pool of data. Like most mainland European races there’s a broad spread of nationalities. 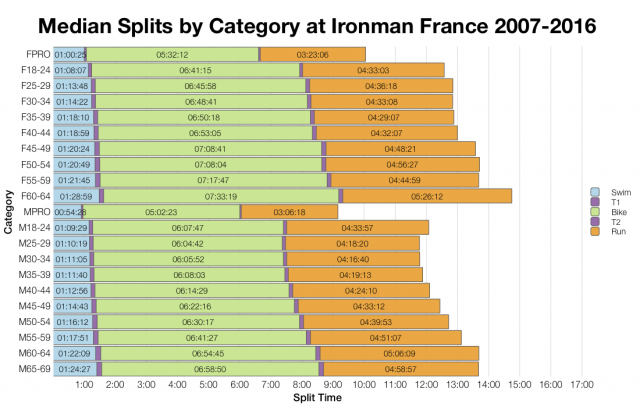 The largest group is French and they take an equivalent proportion of the Kona slots. 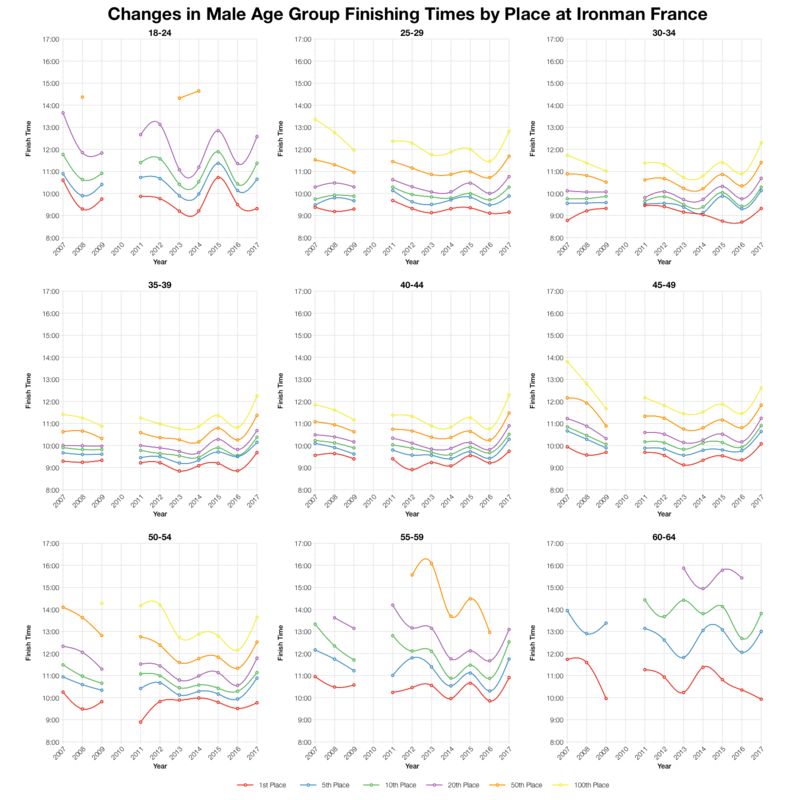 Tracking times for age group positions shows how slow this year was. Normally they’ll be some variation across the categories, but pretty much every division and every place saw a large drop off in times. There have been other years with slow results similar to these, but few as consistent. Based on my the results list I’ve calculated the likely allocation of Kona slots and what that would suggest for automatic qualifying times. As always the exact slot allocation and qualifying times will likely vary from this, especially once you factor in roll down. You can find more information on qualification times at this and other races on my Kona qualification page. 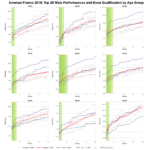 To further emphasises the point, for most age groups times for the top twenty places were significantly slower than the average. In some cases the slowest in the last decade. This isn’t true for every single age group, but the majority follow the trend. 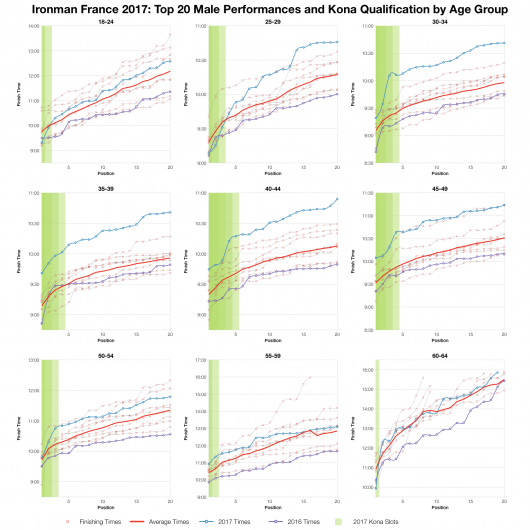 I didn’t have any athlete racing in France this year, so I’m not sure what conditions were like or if there is another explanation for this year’s slower results. 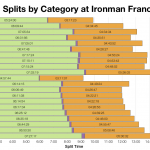 You can access a spreadsheet of the full results from Ironman France 2017 on my Google Drive.